Who was the great Wuffing king who lay in state in the treasure-laden ship berthed beneath Mound One at Sutton Hoo? We shall begin the day with a new look at this discovery in the light of recent work on its contents and related finds. These include the East Saxon royal burial from Prittlewell as well as the significant artistic and genealogical parallels which suggest that the Wuffings had important continental connections. 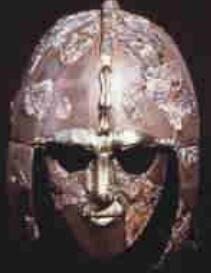 We shall also explore the ways in which the character of the Sutton Hoo grave-goods may provide clues as to the character of the king who lay there. We shall then reappraise the history of East Anglia and England around the time of the burial, whence it will emerge that the Wuffing king Rædwald may have been a far more central figure in the early success of Christianity in England than has previously been acknowledged. We shall also consider the indications that he was the first king of all England. Sam Newton was awarded his Ph.D in 1991 and his first book, The Origins of Beowulf and the pre-Viking Kingdom of East Anglia, was published in 1993. Since then he has been researching, lecturing, and writing as an independent scholar in Wuffing and Early Medieval Studies. His latest book, The Reckoning of King Rædwald, was published in 2003. He is also now a Director of Wuffing Education, NADFAS lecturer, and Time Team historian.